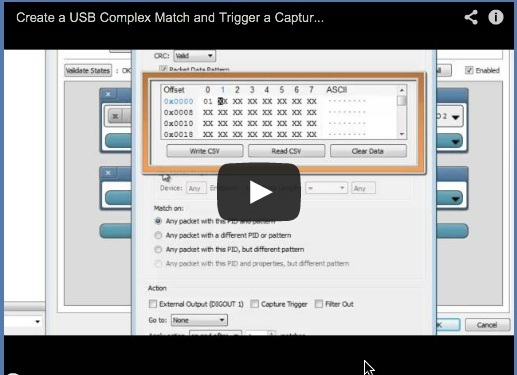 Watch this step-by-step demonstration and learn how to set a multi-state USB 2.0 complex match and trigger an external output with the Beagle USB 480 Power Protocol Analyzer. 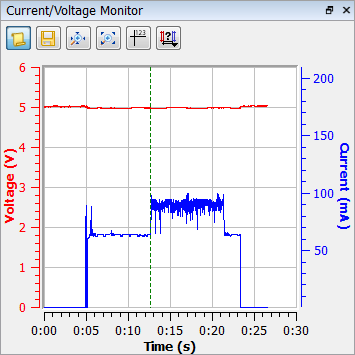 Learn how to create a multi-state complex match, trigger a USB capture, and view pre-trigger all USB data with the Beagle USB 480 Power Protocol Analyzer. Special Introductory Offer – SAVE 10% NOW!! 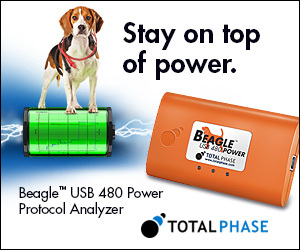 Place your order for any model of the Beagle USB Power Protocol Analyzer in our on-line store before September 30th and receive an additional 10% off the purchase price of your new analyzer. Enter Coupon Code "loyalcustomer" at checkout to receive your discount. Fall Tradeshow Season is here. Hopefully you had a chance to visit us at one or more of this past month's tradeshows: Flash Memory Summit in Santa Clara, Microchip MASTERs in Phoenix, USB-IF Compliance Workshop in Portland, or the Intel Developer Forum in San Francisco. If not, there are more opportunities to ask our experts your questions at one of the upcoming TI Technology Days or the Taiwan USB-IF Compliance workshop in November. In an effort to provide the most relevant technical content possible, we've changed our blog. Not only do we share the most common technical questions from our support desk, we've begun to focus those questions on the protocols highlighted in each of those shows. 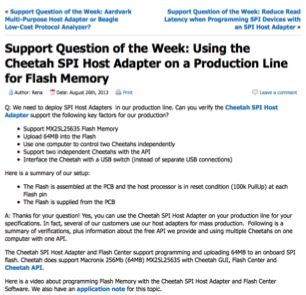 July-August focused on I2C/SPI programming, with an emphasis on ease of use and speed to go along with the new version of the Flash Center Software that was released on July 31. September-November we're focusing on USB – Fast debugging, real-time triggering, optimizing the power profile for mobile embedded USB designs, and more. Let us know if there are other topics you would like to see us focus on. Just write us at sales@totalphase.com. Using GPIO and triggers (data or packet type matches) within Data Center to trip a flag in your debugger – Know exactly where a bug exists in your code.